We work with several local utility companies including Puget Sound Energy, Tacoma Power, and Cascade Natural Gas to provide rebates for insulating existing homes. Please contact our nearest office to arrange for one of our estimators to come out to see if your home qualifies. For more details, click on one of the images below. Tacoma Power offers rebates for insulation and sealing ducts for qualified homes of up to $3,450. Grants are available for low income qualified residents, which often cover the entire cost of the job. If you have an electric heated home built before 1988, give us a call for a FREE estimate. PSE offers rebates for insulation and sealing ducts for qualified homes of up to $1,500. If your home is heated by gas or electricity through Puget Sound Energy and was built before 1990, give us a call for a FREE estimate. Cascade Natural Gas offers varying levels of insulation and duct sealing rebates for qualifying homes. For example, a 2,000 sq. ft. home that meets the criteria could qualify for insulation rebates of $1,860. 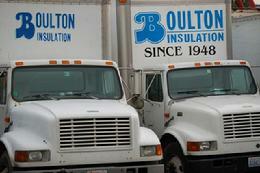 If you're a Cascade Natural Gas customer in need of insulation, give us a call for a FREE estimate.